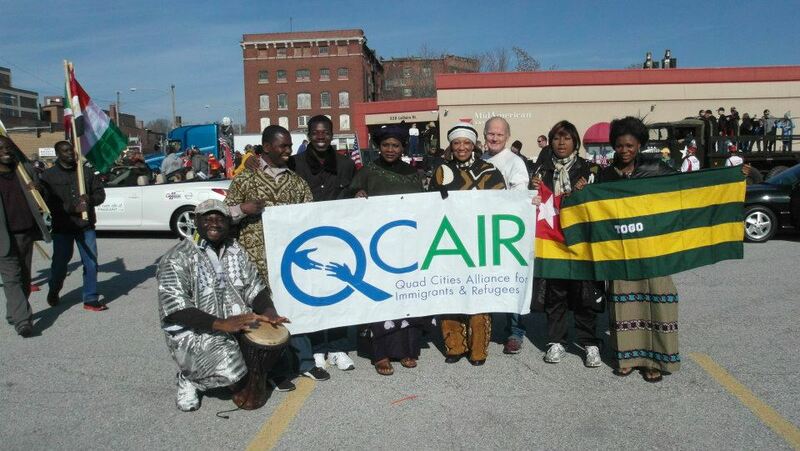 Quad Cities Alliance for Immigrants and Refugees (QCAIR) is a membership-based organization that arose from a series of public dialogues in Rock Island, Illinois during 2010 & 2011. Its mission is to build community among refugees, immigrants, and citizens of the Quad Cities. QCAIR champions comprehensive immigration reform alongside other Quad City organizations by participating in the “Dream for All” rally. Their work includes addressing the issues of education, healthcare, jobs, and housing for immigrants and refugees. One goal of the work QCAIR does is to to survey existing services for refugees and immigrants and coordinate and share information about the services available among QCAIR members. It seeks to identify opportunities for combining services, filling gaps in services, sharing resources, and eliminating duplication of services, all for the purpose of enhancing self-sufficiency of refugees and immigrants and easing their transition into the community. QCAIR held a multi-cultural festival, Festival D’ete, in July 2013 including flags from 41 countries. 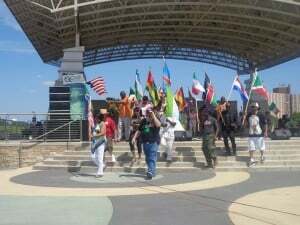 The festival included dance and music programs of various cultures. 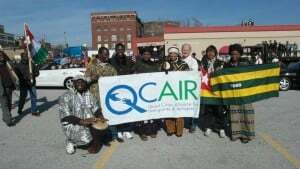 QCAIR seeks to increase awareness and celebration of diverse cultures through event showcases, artistic endeavors, crafts, literary arts, festivals, etc., and to promote cultural diversity training for police, teachers, employers and general citizens. Visit their webpage at: http://qcair.org or like them on Facebook: https://www.facebook.com/#!/qcair. 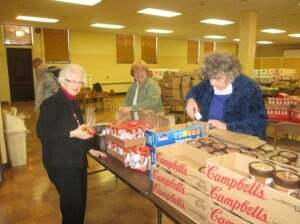 The Common Place Family Learning Center (CPFLC) is supported by churches throughout the Peoria community. The CPFLC Promising Futures Program provides academic assistance and enhancement to children in K – 2nd grades through after-school programs. Their work lives out their strong belief that every child deserves the love, guidance, and opportunities to develop as individuals and to succeed in school. All the children who participate in their program are minorities who live in poverty and have had limited opportunities in life. Education, particularly when linked with gaining awareness of self and others, empowers children to succeed in school and beyond. 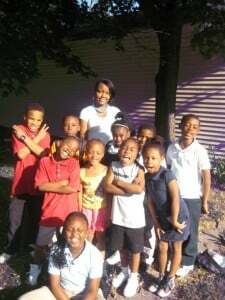 31 children were enrolled in their program for 2012-2013 school year, plus 11 during the summer. The children also developed confidence and self-esteem thanks to the work of Promising Futures’ staff and volunteers. The success of the program this year exceeded expectations. Children improved their grades by at least 1 letter grade, demonstrated good decision-making and problem solving skills, increased the awareness of their individual talents, and broadened their knowledge base through educational and personal growth opportunities. 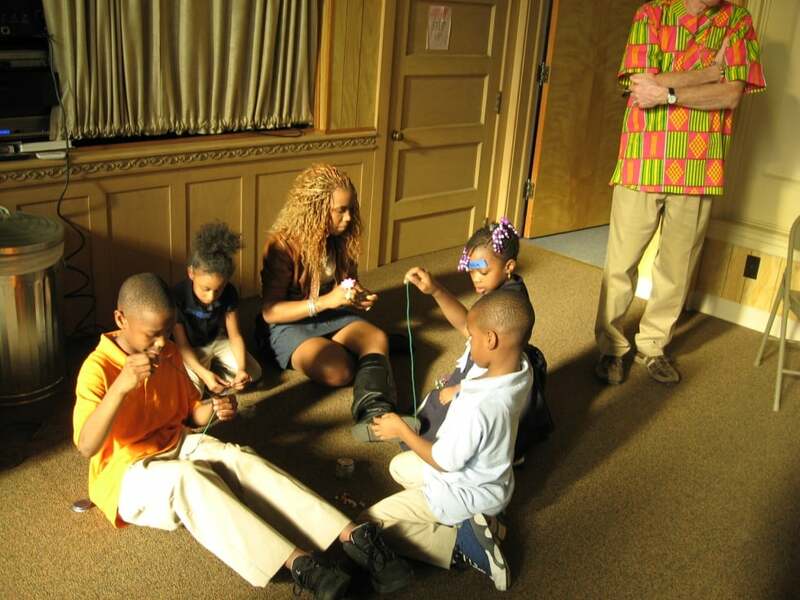 Common Place’s mission is to embrace diversity and improve lives through education support for children, adult learning opportunities, and family activities. Check out their website at: http://www.commonplacepeoria.org/. Glen Oak Christian Church, Peoria, IL, received the support of the CCIW Pro-Reconciliation / Anti-Racism for 2 programs this year: Glen Oak2 and Glen Oak Action Liaison (GOAL). Glen Oak2 provides a snack pack program through the work of Glen Oak Christian Church and Glen Ok Community Learning Center which serves 900 students in K – 6th grades. The snack pack program provides children each Friday with food items for the weekend bridging the gap between school meals. The problem was brought to the church’s attention through member and school principal who took notice of the need of children. The program has provided snack packs for 560 children and due to the success of the program has extended its ministry to summer packs. 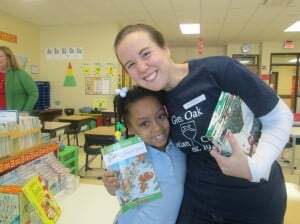 GOAL reaches out to the people of the inner-city East Bluff neighborhood that is home to Glen Oak Christian Church in Peoria, IL providing service through Weekday Wonders, Operation Inasmuch, Neighborhood Revitalization activities, Nursery School, and tutoring. GOAL provides direct personal face-to-face contact with the neighborhood. GOAL staff connects directly with neighbors visiting the families of the children in its program to help the congregation come to a deeper understanding of children and their families, including working with individuals from the neighborhood to connect them with social services, employment assistance, and mentorship. GOAL is active in the community addressing, violence and crime. Staff works to connect children and youth to the various services throughout the area.